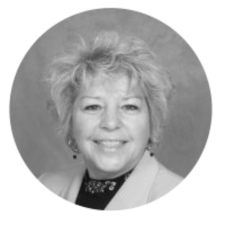 Jill Secord is a Senior Advisor with 38 years of experience as a nurse with expert skills in leadership, operations, managed care, nursing education and creating roles for nurses in non traditional nursing settings. She has clinical experience in critical care, orthopedics, home care, home infusion, managed care, contracting, provider relations, data analysis, and strategic planning. She is also certified in Lean Healthcare and has developed a system to integrate Lean techniques with Patient Experience Mapping and Family Focused Care initiatives. Jill has worked with a variety of healthcare organizations to create departments, streamline current processes, and develop new profitable programs. Jill was on the Global Executive Committee for UHC which included Executive Health, Patient Facilitative Services and International Programs throughout the United States. She was also a member of the US Cooperative for International Patient Programs which tracked International patients coming to the United States for care and developed guidelines for success with International Programs. Prior to joining Endeavor Jill recently served as the Director of Destination Programs and in Managed Care Operations and Business Development for the University of Michigan Health System.